You’ve found a home in Ohio that you really want to buy. You make an offer contingent on financing. But then you find out that bank financing isn’t going to happen for you: you can’t qualify for a mortgage loan. So the Seller offers to finance the sale of the property to you through a Contract for Deed. First, let’s be clear: if you understand what a Land Contract is, then you also know what a Contract for Deed is. But if you don’t understand what either term means, let’s do an easy-to-understand overview of the Ohio Contract for Deed process. A Contract for Deed is just one type of legal Real Estate Purchase Agreement. This particular legal structure allows a Buyer to purchase a property directly from a Seller by making an agreed upon down-payment then a pre-set series of monthly payments over time. There is no bank or mortgage company involved in the purchase transaction; it is a binding contract where the Seller provides the financing for the Buyer. An initial down-payment from the Buyer is usually paid to the Seller, with the remaining balance due financed just like a bank mortgage loan. While a Contract for Deed can be made up of just a couple of payments, most purchases are typically paid in monthly installments with a balloon payment buyout due at the end of some time period. While a bank mortgage loan is often set up for 15- or 30-years, most Contract for Deed agreements cover a 3- to 5-year time period. (But the interest rate is amortized over the longer time period. When the total purchase amount has been paid by the Buyer (including the principal and the interest amortized over a set time period), the Seller conveys legal title to the property to the Buyer using a Deed. 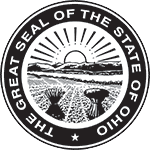 This site covers all aspects of a Contract for Deed in the state of Ohio. You can read some legal overviews here about a Contract for Deed and how it may be used. Understand the financial considerations involved with a Contract for Deed. Find out how to create an Ohio Contract for Deed here. And finally, get details on how and where to file the Contract with the local County Recorder after it is signed. Buying a piece of real estate in Ohio through a Contract for Deed is not a difficult process. Just make sure you have common-sense information you need to understand the process, either as a Buyer or a Seller.